Understanding your unique lifestyle requirements - as in, the way you want + need to live your life to feel healthy, happy + fulfilled - is ESSENTIAL for any successful & sustainable business. ⁣Read below to find out why knowing your lifestyle requirements will help you get to manifesting your dream career/business sooner! Sahhhhhhhh I spent countless hours trying to figure out what sort of career I’d be suited for, without ever considering the kind of lifestyle I truly desired. True story! I knew I wanted a career that would allow me to travel. BUT what I didn’t consider was - in what way? Did I want to spend months or years of time abroad? Did I want to stick to interstate only? short trips? a mixture? Digital nomad? Offices overseas? What sort of locations???? These are questions I never considered…. When we consider what sort of lifestyle we truly desire, this can help us narrow down the kind of jobs we’d be well suited for ( in the long run ) and for all of you business owners or aspiring entrepreneurs - the kind of business we want to create. It’s super important to consider these questions before starting your business (if possible!) and then regularly as your business grows (because your needs and desires will likely change too and if your business stops working for you, you’ll stop working for your business). So, what are your LIFESTYLE REQUIREMENTS? Check out the 5 tips below to help you find out! Always consider the day to day. How exactly would you love to live your days? Literally from waking up to going to sleep what would your perfect day look like? This is an exercise I take ALL of my clients through because it is the most informative exercise you can do to find out more about what you truly desire. And remember it’s our days, that make up our months, that make up our years. If we get the days right, we get the years right. So, ask yourself: What would YOUR perfect day look like and see what comes up! What are the key experiences you hope to be able to have through the money you make in your life + business? Before we start making the big bucks, this can feel like a “too soon” question. But it’s actually THE question to ask yourself right away. Knowing what you want to spend your money on is super important information as it shows you WHAT experiences and things you most desire. In other words, how you want to live your life! When you know how you want to spend your hard earned dollars, this keeps you motivated and moving forwards + allows you to start aligning with the success you are calling in right away! SO, What do YOU want to spend YOUR money on? What activities fill your cup up? All of these are vital to getting you showing up for your business in an expansive kind of way. Ever not exercised for a month and noticed how this impacts your energy in everything you do?! For me, my morning alignment time is VITAL to my creativity & business success.⁣ Without it, I’ll be chugging away at 50% in everything I do. Which is hardly fulfilling! So, I make it a priority in the way I organise my day so that I am able to begin my day filling up my cup with the activities that make me feel 10/10. Who are the people you envy? Many of the people we find ourselves feeling envious of (think you’re scrolling on Instagram and suddenly you feel a pang! ), are usually simply embodying something we want and often I find there is something lifestyle related! Instead of unfollowing, why not lean a little closer?! Take a closer look - what about their lifestyle might you too like to embody too? See these people as expanders, rather than the enemy. This is more important intel for your desired lifestyle! So, who do you notice yourself envying + why? As in - do you want to work in an office, work from home, in a shared office, a cafe, a park, while on the road, a combination? How do you most want to work? For me, I wanted to be able to work from wherever I wanted - even if that included my bed or an amazing trip to Santorini. This is very telling as it meant I needed to create a business that I could have complete freedom in and over. Flexibility over my schedule is EVERYTHING. Designing a business that respects our lifestyle requirements is a FUNDAMENTAL pillar of my business coaching model. Unless we create a business that respects these, how is this any different from working for another horrible boss who doesn’t respect you? It’s not! But most of the time, it’s simply a lack of awareness about what we most want + need that stops us in the first place. When you know what your lifestyle requirements are you can make sure you design your life + business so that it works for you. Hence, it’s a fundamental part of your dream business/career manifesting process! So, grab your journal and make your way through the questions above. Then let me know in the comments below something about your lifestyle requirements. I’d love to hear from you! P.S. 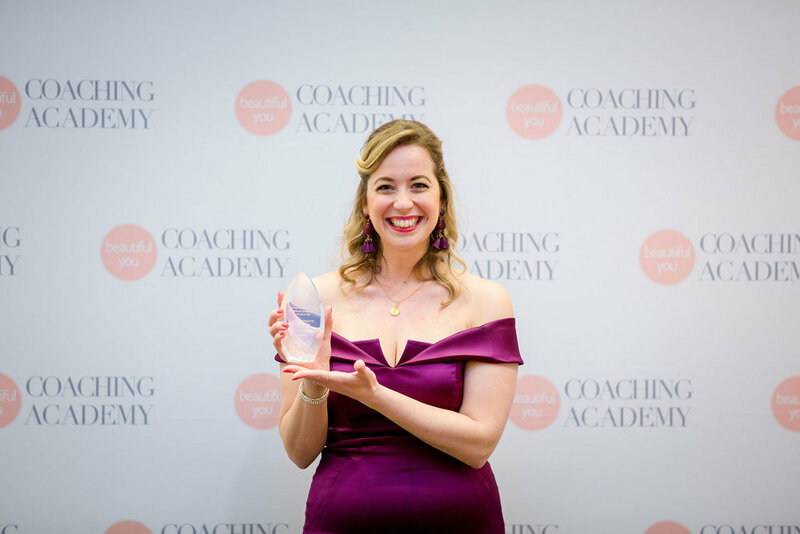 I’m currently running a special CELEBRATORY discount until 29 March 2019 on my 1-1 Business Coaching package to celebrate my recent award of Emerging Coach of the Year! When you sign up for my 1-1 Business Coaching package before the 29th of March, you will receive a massive $500 off! You can find all the details for my 1-1 program here. If you’re ready to expand your heart-centred business (with me by your side!) pop in your application so we can organise a time to talk.